It's been a while since I've shared some free fonts, so wanted to pass along the latest ones I've downloaded. With the end of 2013, there were several articles written compiling the best fonts from the year. I went through a few lists by sites that have been good resources in the past. If you'd like to read a couple, here are the 100 best by Awwwards and the 100 best by Creative Bloq. You may know that I love me some Instagram, and so have a handful of apps on my iPhone that assist in photo fun. I just discovered the Over app, which allows you to add text and images onto your photos. Even more awesome is, if you have dropbox on your computer and phone, you can transfer your own font files to use. Just be sure to use copies of the files and not the original, or they could wind up being deleted from your computer. Once they are on your mobile device, you open the file using Over and the fonts will appear in the menu with the others. I've added a few so far, one of them being Mission Script that I shared in my last font post, and made this edit to my photo. Simple and attractive, just like the app! Since this post has already gotten lengthy, I'll be back to share the other apps that I use to enhance my photo taking, editing, and overall Instagram experience. 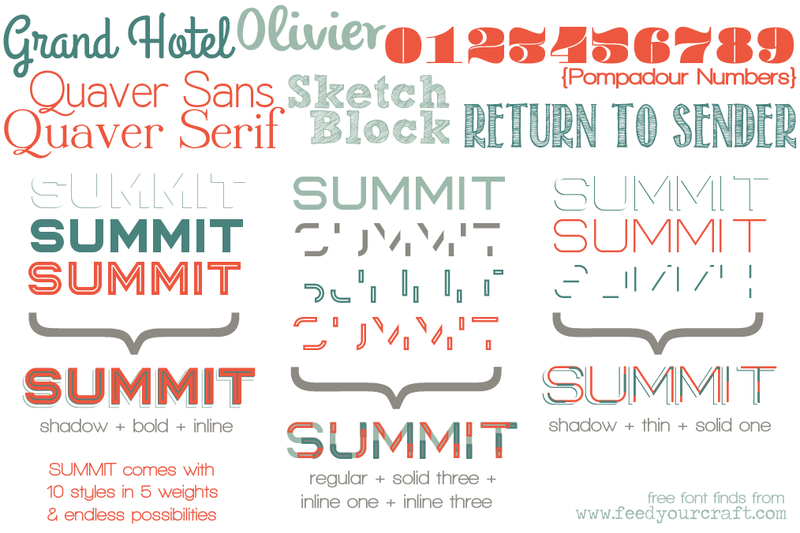 Love all these fonts, grand hotel is one of my faves! Fun fonts! I love Olivier! Ooooh, I love Oliver and Grand Hotel! I wish I knew more technical stuff. I had to get my daughter to put font overlay on my one of my IG photos. She has to show me about 5 more times before it sticks into my pea sized brain, lol. i look forward to your post about apps and stuff- always looking for fun things!